This time two Dutch books, one classic and my (late) discovery of Haruki Murakami. All four different stories of people lives. People in love, in the world of ballet, in war, and one dealing with a schizofrenia. All four worth reading. So let's quit all the household jobs and pick up a good one! The Dutch books have no translation yet. 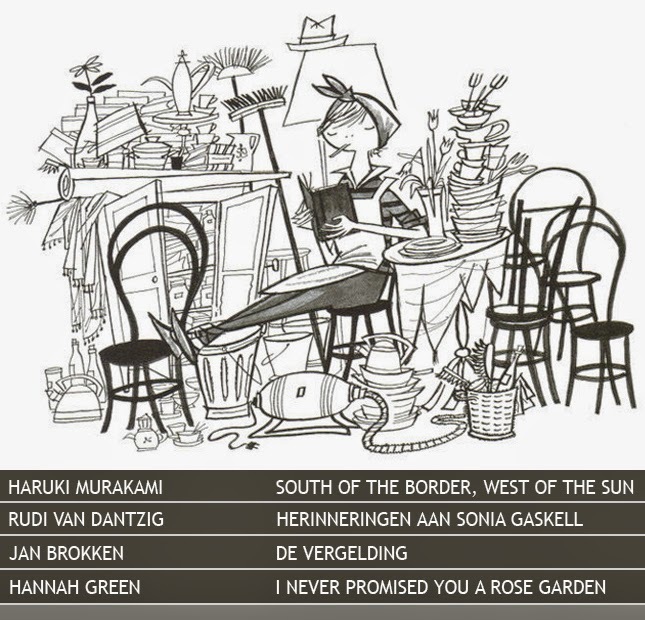 Dutch titles of the other books: Murakami; ten zuiden van de grens. Green; ik heb je nooit een rozentuin beloofd.